No micro-vacuum cleaner I am afraid Lance. The leather of the seats and wood finish are completely realistic - wonderful finish. I especially like the wear pattern on the pilot's seat. Truly superb interior, Lance! Your detail work is absolutely brilliant. I'm really enjoying watching this one come together. I used Tamiya's Weathering Master Oil Pastel Packs (Soot and Mud) for the wear effects on the leather seat. The lozenge application is now slowly underway, I'll log some more photos when that's complete. Lance, to view your work is always a great pleasure! Interior looks great Lance. I am especially drawn to the cableing that you did for the throttle and fuel mixtures, very nice and perks up that part of the model. I will have to review this when I tackle my next LVG. Get ready for some real modeling excitement as you enter the lozenge stage. It's too bad there isn't a "cookie cutter" version for the LVG as it is quite a time consuming effort. Steady on, as they say. Yes, I'm discovering more by the hour how long this step takes, and then there's a million rib tapes to follow! Modelling excitement at it's peak! Hang in there Lance: Remember, we're in this together. I remeber those rib tapes very fondly... Worth it in the end and at that certain point when you realise "I've only got one to go" your smile should be recorded . "when you realise "I've only got one to go" your smile should be recorded" . Great inspiration, I'll keep that firmly in mind! You bet; at least there's no rib tapes on a Voodoo! 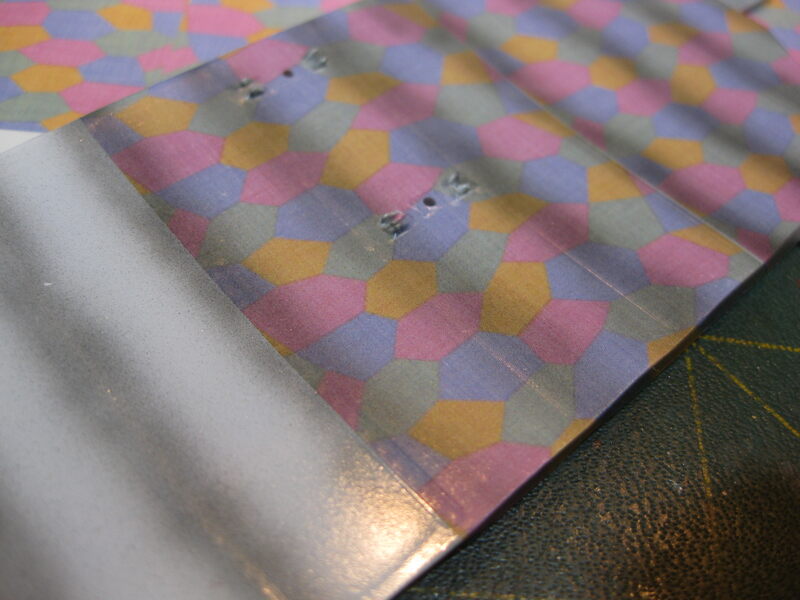 Finally this step is complete, the lozenge and tapes are done! The Aviattic Lozenge went on well as usual. It was applied over a coat of Future and once dried over night was trimmed with a fresh double edge razor blade. 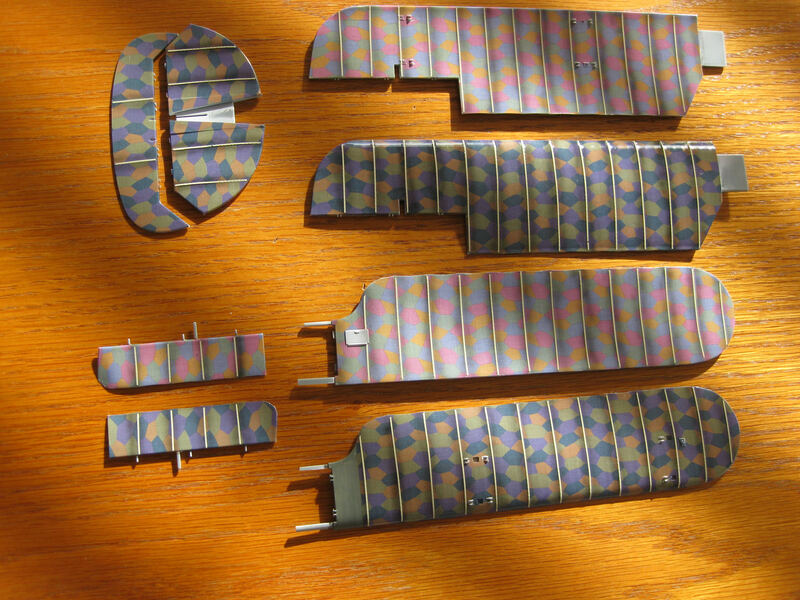 I used Aviattic's un-joined bolt width version and applied it per the aircraft in slightly trimmed 54 inch wide (scale) strips. 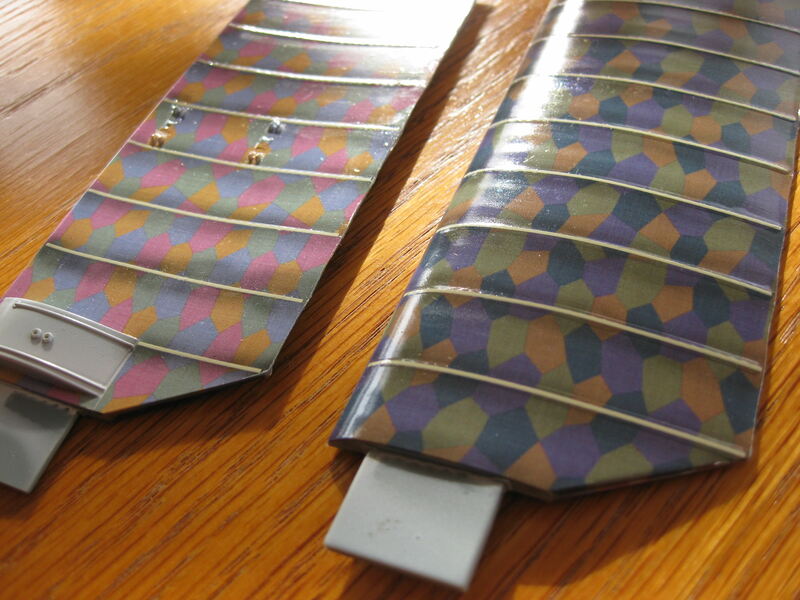 The lozenge was given a coat of Future and, once thoroughly dry the rib tapes applied and again given one last coat of Future to seal them in place. 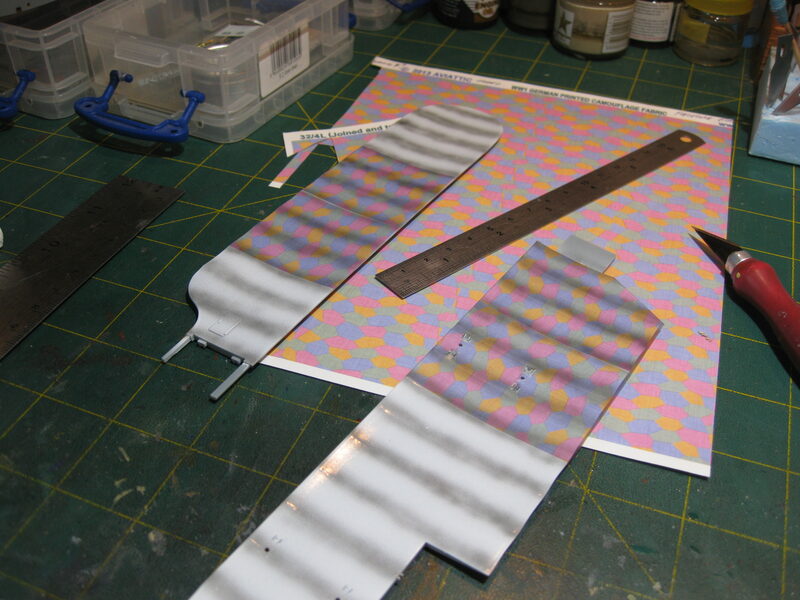 Next the wing markings will be applied and a few very light mist coats of a Buff/light brown filter, and final protective coat of semi-gloss to satin clear and the flying surfaces can be installed. And yes, I did smile widely when the last rib tape was in place! Wow! Lance, that is a Macro compatible apply of Aviattic decals, much better than mine. Had some small trouble points, which I was not able to solve even with multiple applying of different softers. One question, even it is a bit back in your report: how do you paint the leather of the seat? I like the satin gloss! Thank you Frank. For the seat I used Model Master Enamel "Burnt Sienna". Once dry I rub the wear areas like the edge of the cushion and arm rests with my fingers to achieve a gloss or semi gloss wear effect and then work the folds and depressions with Tamiya Weathering Master oil pastel using a combination of their "rust" and "soot". There's no sealer or satin overcoat, just the shine from rubbing the original flat paint. Getting better and better, Lance. The wings with the ribtapes give that certain something to the model. Wonderful Lance - well deserving of a big smile!!! Lance, that seat looks like a worn catchers mit, superb!